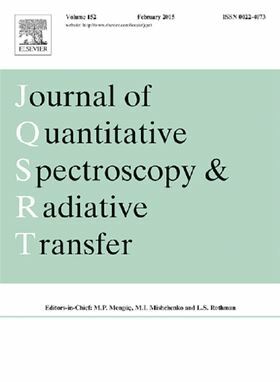 We are very pleased to welcome nominations for awards in the Journal of Quantitative Spectroscopy and Radiative Transfer for early-career researchers. Four nominations for the 2014 and 2015 Goody Awards and the 2014 and 2015 Peter C. Waterman Awards are solicited. Goody Award is a newly established young-scientist award named after Richard M. Goody (born 1921) and will be competed among early-career scientists who work in the fields of Atmospheric Radiation and Remote Sensing. The prestigious award named after Peter C. Waterman (1928–2012) recognizes early-career scientists for their outstanding work on the theory and applications of Electromagnetic Scattering. Both Awards will be presented at the 15th Electromagnetic and Light Scattering Conference (ELS-XV) which will be held in Leipzig, Germany 21–26 June 2015. Each award will consist of a certificate and a USD 750 monetary prize. The recipients of the Awards will be selected by a distinguished Award Committee and announced at the ELS-XV conference banquette. Both nominations and self-nominations will be considered. Each nomination package should be submitted, as a single PDF file, to Professor M. Pinar Mengüç at pinar.menguc@ozyegin.edu.tr and Dr. Michael Mishchenko at crmim2@gmail.com by 15 April 2015 and should consist of a short (self-) nomination letter, the nominee's CV and publications list, and up to 5 best peer-reviewed journal papers. It may also include up to 3 letters of support. Please refer to the full conditions, guidelines and contact details on the Journal Homepage to find out more. We are looking forward to receiving your nominations!